Gallery at present work in progress. Enjoy a journey back in time to steam days mostly in the Ipswich/East Suffolk area. 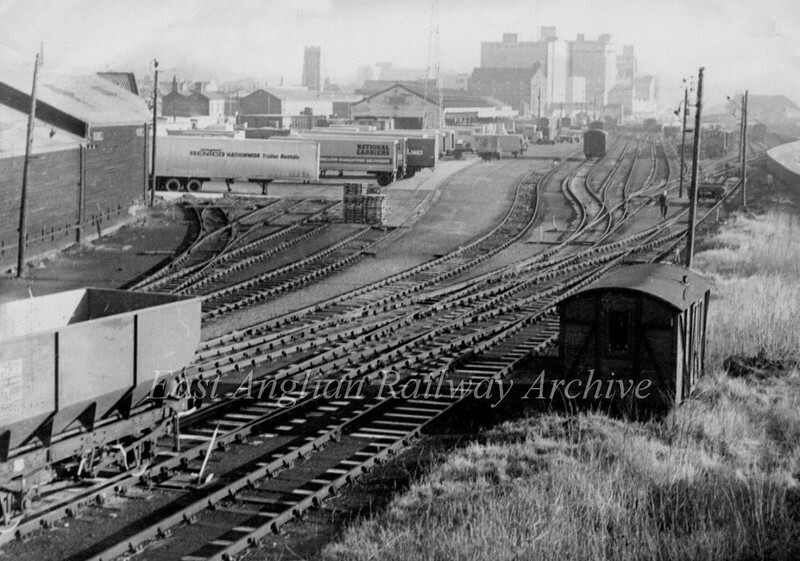 Most of the shots were taken by Brian Leighton who was a railwayman based at Ipswich depot. The majority date from the fifties/sixties. Many thanks to Ian and Ruby Leighton for permission to publish the photos. Unfortunately most of the images had no descriptions and I would be grateful if anyone could identify some of the mystery locations or engines. Viewed from Princes Street Bridge. The area is now dominated by retail units.